The UN’s 2030 Agenda is absent from the White Paper on the Future of Europe. The Commission should lead by example and mainstream sustainable development across all EU programmes, policies and financial instruments, writes Luca Jahier. 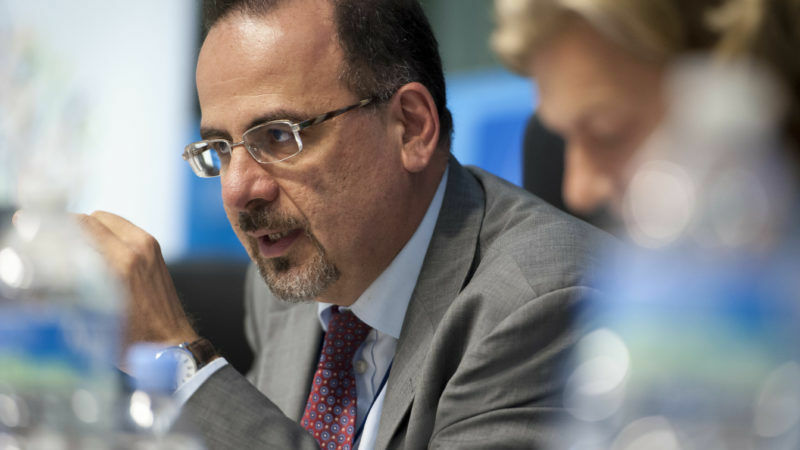 Luca Jahier is President of Group III of the European Economic and Social Committee (EESC). As Einstein once underlined imagination is power and it is this that makes humans unique and which sets them on the path towards the UN 2030 Agenda, for which we need the courage to imagine a new world, an agenda for which we must have the creativity and determination to transform a vision into a positive European narrative for a sustainable development Union. However, to deliver the 2030 Agenda, we must have the foresight and discipline to protect what is beautiful and fragile in our world and prepare for the future. This does not mean that we should be naive. Of course, change is difficult, but if we only think of the challenges then we will fail. We need a vision to give us the force to move from dreams to reality! For thirty years after the definition of the concept of sustainable development, with the release of the Brundtland report, our common future is very much under threat. At precisely the time when others turn away from their commitments, it is imperative that the EU maintains the momentum, accelerating, investing in and embracing change. Now is the time for long-time leadership and engagement, to make the transition to an inclusive, equitable, resilient, low-carbon, circular and collaborative economy. It is very easy to relegate discussions on sustainable development to experts and academics. But this would be a major mistake. For the debates surrounding sustainable development are profoundly political and they must take centre-stage in our political reflections on the future of the EU. To my great regret, the EU has not demonstrated that it has assimilated and embraced the opportunities for a paradigm shift provided by the 2030 Agenda. Unfortunately, the 2030 Agenda is quite absent from the five scenarios in the Commission’s White Paper on the Future of Europe. Even the Rome Declaration and last years’ Communication on a ‘Sustainable European Future’ provide only partial and half-hearted commitments. In my opinion, this could be an immense missed opportunity. It also contradicts the EU’s commitments to the UN Climate Change Paris Agreement. It is now time for the EU to take the political decision to make the 2030 Agenda a central pillar to the future direction and identity of the EU. It is crucial that we make sustainable development a horizontal European priority and that we strengthen the governance of the SDGs. We must take the global leadership and align the Agenda with the EU’s longer-term 2050 sustainable development strategy. For to be credible, the EU has to deliver the 2030 Agenda and lead by example. This will involve building an overarching European Strategy for sustainable development, which would abandon silos and embrace a holistic, coordinated and systematic approach. It should mainstream sustainable development across all EU programmes, policies and financial instruments. As a first step, we need an inter-institutional agreement on sustainable development between the Commission, the Council and European Parliament. Indeed, I would call on the Commission to present a new scenario on the Future of Europe, which would put centre stage a sustainable democratic Union. The dimension of ‘rights’ in the 2030 Agenda must be of equal importance to that of ‘progress’. It is my view that the EU will only reach the objectives of the Agenda if first, we build on our European values, and secondly if we safeguard the exercise of human, economic, social and cultural rights. In the first instance, there is no doubt that the values enshrined in the European Treaties define and reflect who we are and who we want to be. The demand to exercise rights is an extension of those values. However, what is interesting about the 2030 Agenda, is that it brings to the forefront an additional dimension which had been neglected by the EU’s market economy logic: The dimension of well-being, as the implementation of the 2030 Agenda requires a new definition of prosperity, going way beyond the criterion of GDP and economic growth. Without a doubt, the sole criterion of GDP growth has failed to address social inclusion, environmental responsibility, societal happiness and sustainable economic growth. In contrast, the concept of beyond GDP is at the heart of sustainable development and it defines the type of society that we aspire to. Now it is time to move from sustainable indicators to policy design and to ex-ante evaluations. This brings me to governance, key actors and partnerships. There is no doubt that we will only be able to design and deliver this new world, by working transparently in partnership. A new global governance model is required and the EU should take the lead in shaping it. This new global governance should be defined and driven by bottom-up initiatives of local and regional authorities, civil society organisations – including businesses and trade unions- and citizens. Business has a pivotal role to play in leadership, innovation and investment in change.